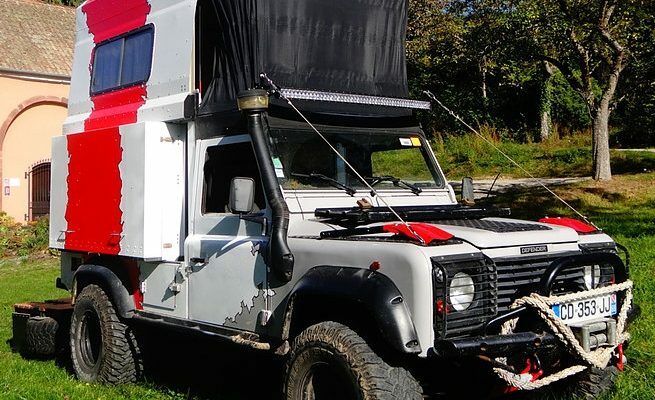 We saw this idea in a sticks and bricks garage but realized this could be easily adapted to be a great storage idea for a toy hauler and/or RV basement. 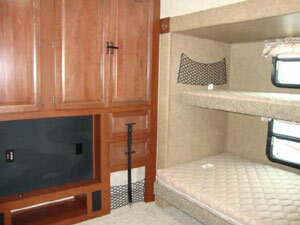 It’s a tough life to live in a RV without organization skills. People do it without issue but it must be incredibly difficult to live day to day. 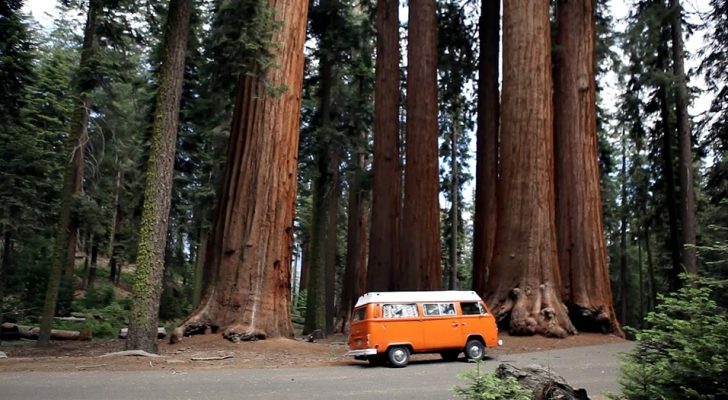 We put a lot of stock in storage and organization ideas as we think they add a great deal of functionality to the RV lifestyle. Recently we saw a storage idea that is originally intended for a sticks and bricks garage but the more we looked it over, the more it was clear this could be easily adapted to be a great storage idea for a toy hauler and/or RV basement. 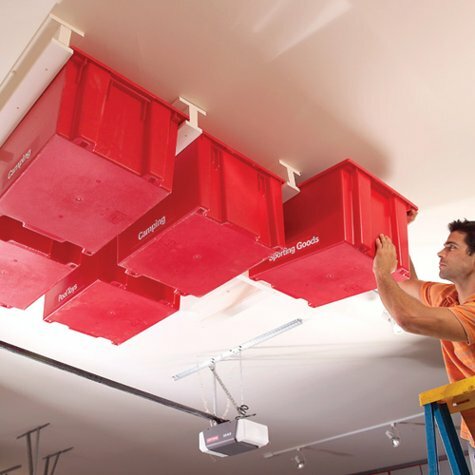 This overhead storage system is simplistic but effective at taking advantage of any overhead “dead” space. The entire can be fabricated from low cost standard building materials available at your local home improvement store. We usually use the service through home depot where you can buy online and pick it up in the store, FYI. 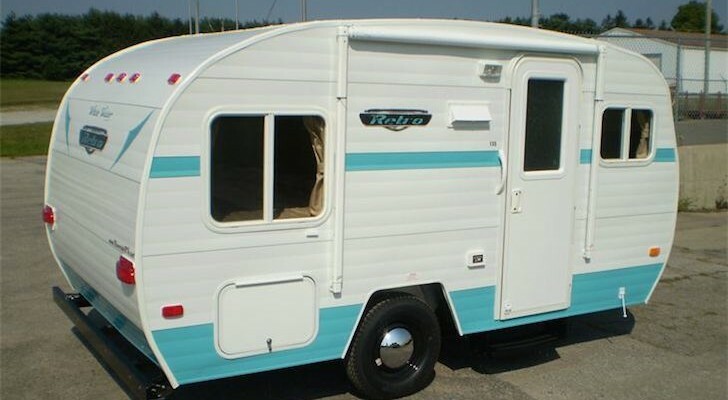 This RV mod is all about taking control of the unclaimed space that is available in the garage of many toy hauler and also in many RV basement compartments. 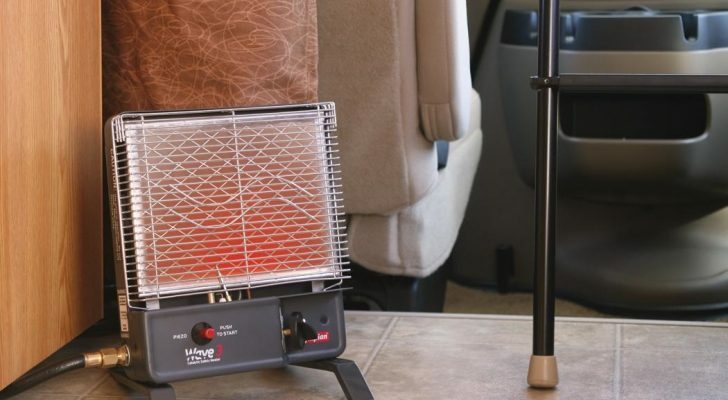 You know best where this is most useful in your RV. 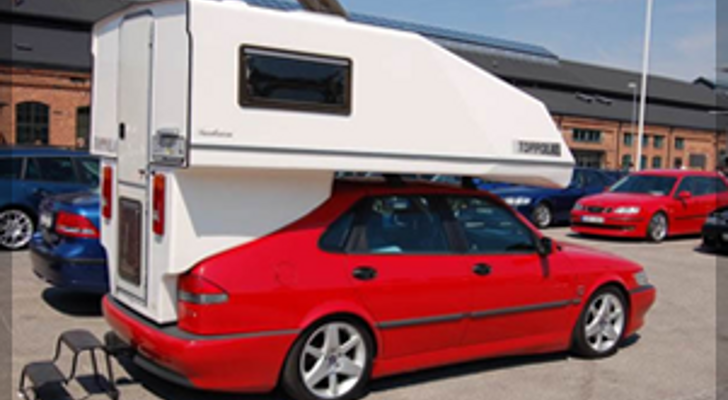 Something tells me that someone will find other uses for this RV mod as well. 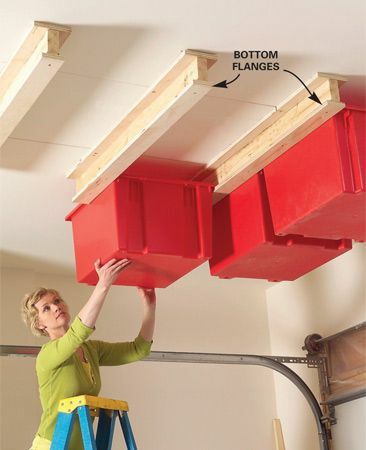 This storage idea for a toy hauler or RV basement is built around industrial grade plastic storage bins and slide rails created from a combination of 2”x4” and and plywood strips. 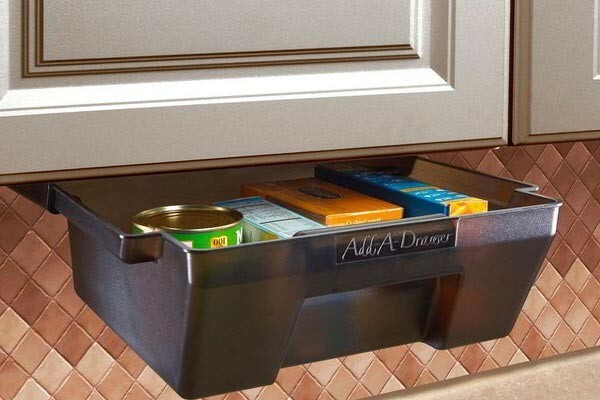 When it comes to the storage bin choice there are a limitless number of options. Its recommended that high quality bins are purchase in lieu of the cheaper thin plastic versions typically available at home improvement stories to ensure durability and safety. 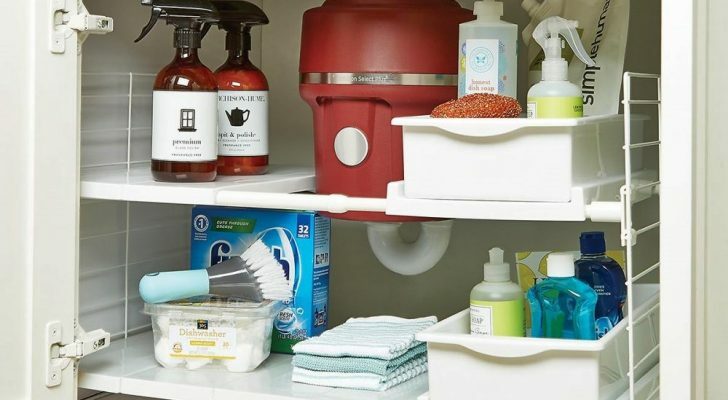 You can look over the different selections of bins at Amazon.com or Home Depot to get an idea of the different sizes and qualities. We went with the Akro-Mils Plastic Tote because the height was perfect for the RV basement at 8 inches and they came in a bundle of 6 units. After you choose your container, be sure to measure them carefully and adjust the rails and flanges on the mounting grid to make sure things fit correctly. Remember that the rail system will take up an additional few inches on height. If your interested in learning more about this storage idea for a toy hauler or RV basement we encourage you to visit the Family Handyman website for more photos and a step by step guide for how this RV mod should go together. As always be sure to tell us about it in the comments below if you think of some way to use this idea or have already finished something like it!